SPECIAL REPORT | Former Premier Jay Weatherill may have retired from politics, but he hasn’t left democracy behind. Indeed, he is hoping to make a new career of it. Weatherill formally left parliament in December, but effectively stepped away from political life a year ago this week, when he relinquished the ALP leadership after leading his party to defeat in the state election that ended 16 years of Labor rule. He said at the time the overwhelming sense was “relief”, having spent every one of those years in the ministry – and having pulled off a near-impossible victory in 2014 after he was backed by Labor’s dominant Right faction to replace Mike Rann. “I think I was brought in to save the furniture – but I would have been bitterly disappointed if we’d lost,” he says now of the unlikely win that saw Labor reclaim power with the support of independent Geoff Brock despite comfortably losing the statewide vote. He is acutely aware of the magnitude of the feat – noting that a recent Newspoll widely thought to spell doom for the federal Coalition was identical to the one his Government copped just 10 days out from the election – “the difference is we didn’t panic and start fighting amongst ourselves”. But while he keeps a keen eye on politics, the past 12 months has been more one of reflection, and reclaiming his private life. “Up to this point it’s been reacquainting myself with family and friends… and really just recovering from 16 years of being on a frontbench,” he tells InDaily. 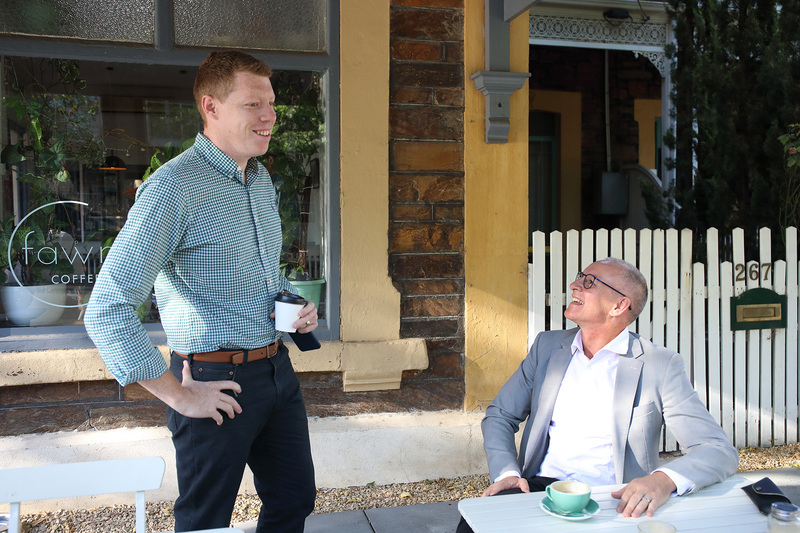 Still there’s no escaping politics; even during our early-morning interview at a small city café with just a handful of fellow patrons – one of whom, in one of those awkward ‘Adelaide’ moments, happens to be Joe Szakacs, Weatherill’s successor in his western suburbs seat of Cheltenham. There have been various conspiracy theories that the former Premier would be in line for a plum posting in some far-flung country if his Labor colleagues seize power nationally, but he insists his family situation – two young daughters and elderly parents and parents-in-law in Adelaide – precludes such a move. “While that’s attractive, it’s just not possible for us and our family,” he says. 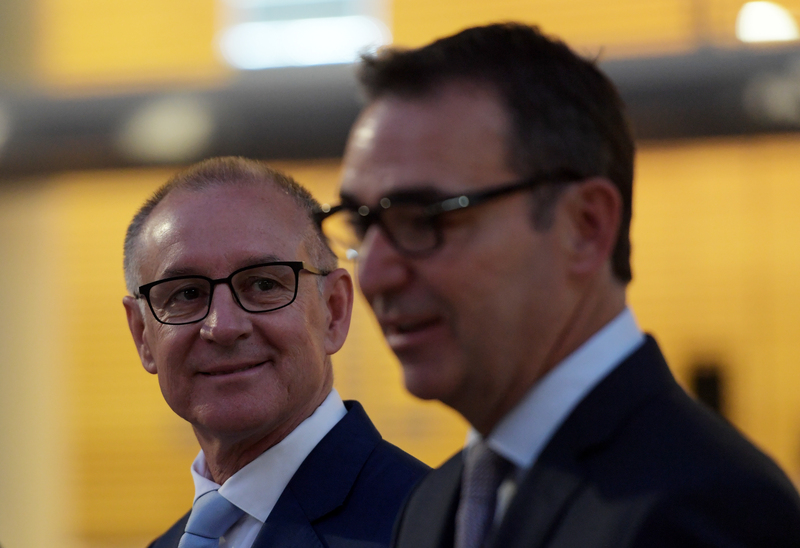 Instead, Weatherill is currently focussed on a pair of passion projects, reflecting two of the themes that underpinned his premiership – deliberative democracy and renewable energy. “The best advice I’d have about what you should do with your career – if you’re in the fortunate position of being able to make these choices – is to pursue the things about which you’re passionate,” he says. “I tried to think ‘what are the things that really excited me’”. The Sydney-based New Democracy foundation – a not-for-profit research organisation focused on political reform, whose research committee board features fellow former premiers Geoff Gallop and Nick Greiner – has won a grant from the United Nations Democracy Fund to develop and distribute a handbook on ‘Democracy Beyond Elections’. According to the organisation – which has previously run citizens’ juries and consultations including for the recent Nuclear Fuel Cycle Royal Commission for the SA Government – the project is “designed to show how nations at various levels of development can apply the principles of representation and deliberation in ways that are appropriate for their economic and educational circumstances”. Weatherill has been called on to advise the project, which will see him jet out to New York next month for a series of meetings. “We’ve done as much as any government has [on deliberative democracy] anywhere in the world… we were asking questions about inclusion in politics well before Brexit and Trump,” he says. “That was really my pitch to get the job – to say we have to move away from ‘announce and defend’ to ‘debate and decide’. “I thought while we were a good government [under Rann], the way we were making decisions was alienating our community… so that was really the whole purpose of me putting my hand up to lead the party. The handbook, he says, will effectively be “a practitioners’ guide to deliberative democracy – asking ‘what does democracy look like outside of an election?’”, focussing on “things like citizens’ juries, online consultations and the innovative use of Royal Commissions”, such as Kevin Scarce’s nuclear inquiry and Ted Mullighan’s review of historical child sexual abuse in state care, which Weatherill established as Families and Communities Minister. He says the nuclear royal commission was one “where the Royal Commissioner was part of a much broader awareness-raising exercise… one of the deepest deliberative democracy processes that’s really been undertaken anywhere”. That ‘result’ followed a 350-strong citizens’ jury roundly rejecting further moves towards SA storing high-level nuclear waste “under any circumstances” – a blow that effectively killed off the entire enterprise. Weatherill now concedes mistakes were made. “We learned a lot, I think, about citizens’ juries,” he says. “With the benefit of hindsight, I don’t think we’d have had it so large… the successful ones are more sparse, the smaller 40-person juries. “When we got to 350, I think it took on the characteristics of a town-hall meeting, not a jury process. He says the large sample was an attempt “to overcome the critique of a lack of representation… but representation and deliberation are, really, two competing ideas”. Weatherill’s interest in democracy thus shifted to “the makeup of your decision-making in between elections”. “When you try and grapple with complex public policy issues, you need to find more thoughtful ways of enlightening the community… and that’s where I think the jury process can be really healthy – a small number of citizens that dive very deeply [into an issue] and assist the rest of us to understand in more detail,” he says. While Weatherill’s long-term nuclear ambitions were thwarted, his zeal for renewables escalated after the disastrous 2016 statewide blackout – an event whose policy response came to define his Government’s legacy. So much so that Jacinda Ardern’s New Zealand Labour Government has invited him to address a forum in May, on “transitioning to a low carbon economy”. 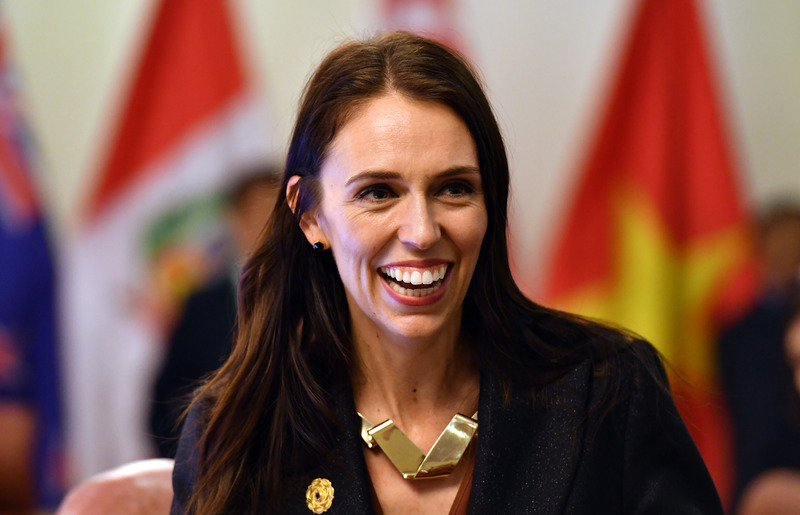 While Ardern has garnered international plaudits for very different – and tragic – reasons this week, it was previously her decision to ban new permits for offshore oil exploration as the NZ economy transitions to a low-carbon future that captured world headlines. “There’s nothing to fear about your individual political status… this is about being on the right side of history,” she told the Davos World Economic Forum meeting in January. Ironically, as his Liberal successor Steven Marshall avowedly models his pro-business government on that of former NZ National Party Prime Minister John Key, Weatherill will be passing on his own renewable energy policy lessons to the Ardern administration. “There’s a new government there now, showing very strong action on climate change – which can have significant consequences for industry in New Zealand,” he says. Weatherill says his government had “two experiences that are relevant” to the debate – “the closure of Holden and the way we managed that transformation, and the second obviously our own move to a low carbon economy”. While both upcoming projects are pro bono – “for love”, as Weatherill puts it – they are themes he is keen to explore in the next phase of his professional life. “I’m obviously coming up to 55 – most people would still think there’s a bit of working life left at that age,” he says. He says he has also been in discussions with leading child and youth wellbeing academic Fiona Stanley, former executive director, CEO and chair of the Australian Research Alliance for Children and Young People. “I’ve committed to her to advocate for that with the incoming Labor Government,” he says, perhaps somewhat optimistically. “I’m really pleased to see [Opposition Leader Bill] Shorten pushing a progressive early childhood policy, extending preschool down to three year olds. There’s irony too, of course, in the fact that some of his government’s most notorious failings were in the early childhood realm, spawning separate Royal Commissions by Bruce Debelle and Margaret Nyland. “I think child protection is always a fraught area – it’s the one that created political controversy, and for good and proper reasons, but I think that our efforts on early childhood had been nation leading, and we’ve also led the national debate on early childhood development,” he says. “No jurisdiction anywhere in the world is immune from those criticisms – the current Government has experienced them and will continue to experience them,” he asserts. Of the Marshall Government, he notes “one of the gratifying things… is the way they’ve largely adopted our energy plan”, noting that it is a sign of the times. “You’ve got Glencore capping coal production, a former coal executive warning about perils of climate change, the federal coalition having to walk away from state-sponsored coal-fired power, kids marching in the streets around the world demanding their elected representatives take action on climate change – this is the accelerated pace of change on climate change,” he says. “It’s dramatic and the point that I’ll always make is that advantages will accrue to the jurisdictions that move first. “We’ve managed to capture an international reputation – the big battery and the actions we’ve taken on climate change are world-leading and they’re capturing international attention… people come from around the nation and the world to look at how SA is integrating renewables into a relatively small, isolated grid. He insists he handed over an economy “with a lot of momentum… an economy that was in good shape”. “There’s beginning to be a sense that that momentum is fading a little, and that will be a critical issue for the Government,” he says. He has less praise for an apparent reversion to the ‘announce and defend’-style administration, evident in crash-through-or-crash announcements such as the government-backed Adelaide Oval hotel. 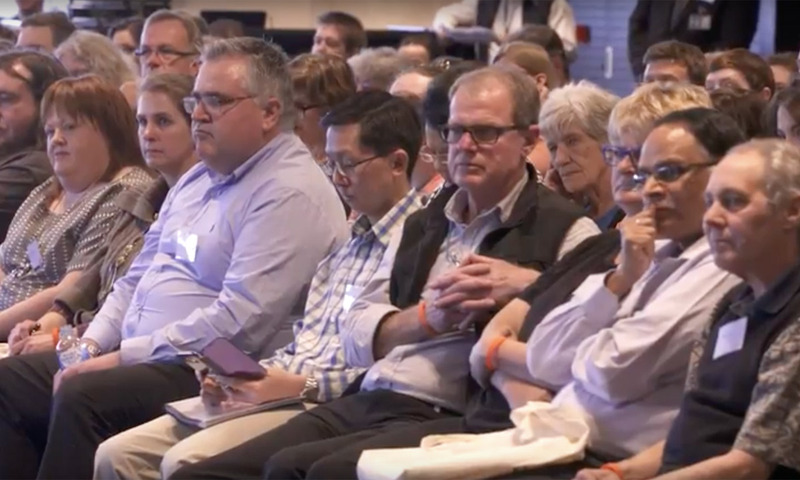 “That’s to their detriment – this is not necessarily a Labor or Liberal thing, it’s about good quality governance,” he says of his oft-mocked deliberative democracy model. He insists “there’s a natural demand from citizens to be involved in the discussions that affect their lives”. “They want to be involved in how you shape the questions they think need to be answered, and that in a sense is what most of the business [of politics] is about,” he says. “It’s really about shaping the questions – because the answers tend to fall out from the questions.